Teddy Drumm is married over 30 years with 5 children. He ran various successful business ventures such as catering company and commercial cleaning company. Due to health reason’s had to consider a new career which opened a new and exciting chapter in Teddie’s life. Never one to shy away from adversity Teddie started studying counselling & psychotherapy. Even though never finished school originally Teddie did not leave that limit his options and has gone on to attain APCP accreditation which has been a huge achievement. Started studying in Cork Counselling Centre, Matthew Street Cork City. and then proceeding to go onto study in ICHAS Limerick. 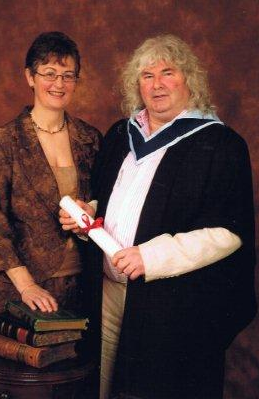 Where he graduated with a BA Degree in Counselling & Psychotherapy. Where he also received full accredited with APCP. Teddie continues to keep expanding his knowledge. Since being fully qualified he has went on to train in mindfulness and have a certificate from the HSE in Sexual Health. 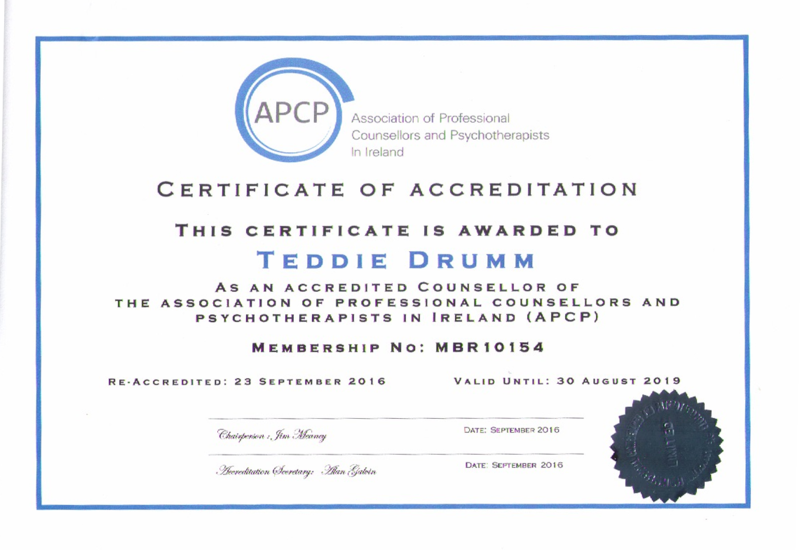 In 2017, Teddie completed Hypnotherapy Psychotherapy course and is a member of the Institue of Clinical Hypnotherapy & Psychotherapy Association.